Riders meet at the Kanza Park Trailhead (13th and Main) at noon. A sack lunch is provided, followed by a ride south on the trail. Younger riders can enjoy a bike obstacle course. A drawing for bike helmets will also be held. 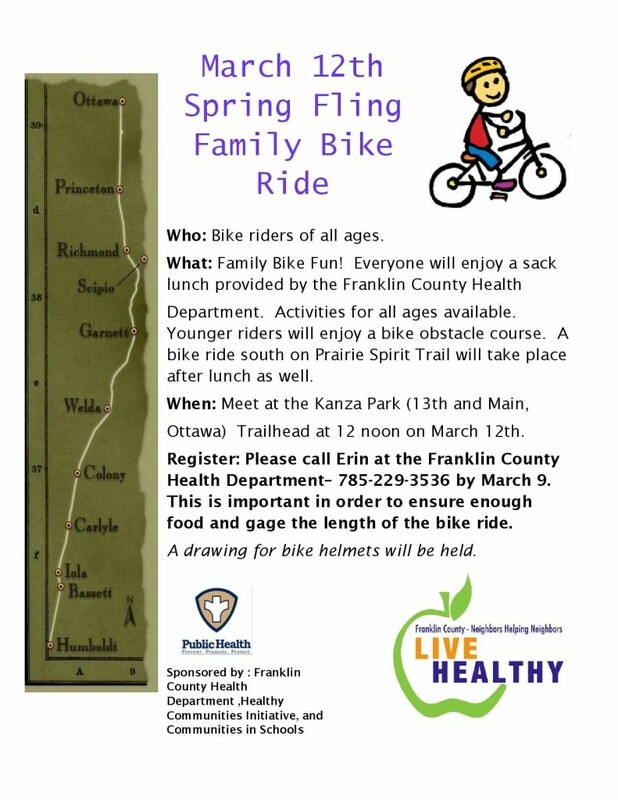 If you’re interested in attending, please call Erin at the Franklin County Health Department (785-229-3536) by March 9th. Randy runs Bike Prairie Spirit, as well as the Kansas Cyclist web site, which is the web's premier Kansas cycling information site, featuring authoritative guides to Kansas cycling clubs, bike shops, organized bike rides, touring, trails, and much more.